The NEX-F3 is also getting a built-in pop-up flash, something that’s missing from the slightly higher-end NEX-5N. 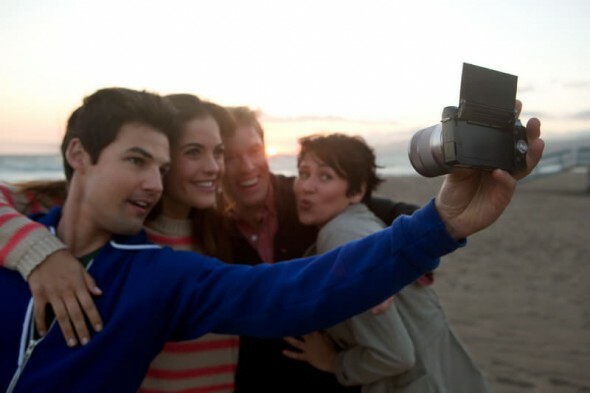 The LCD can also manage a full 180-degree tilt making it easier to take self-portraits. 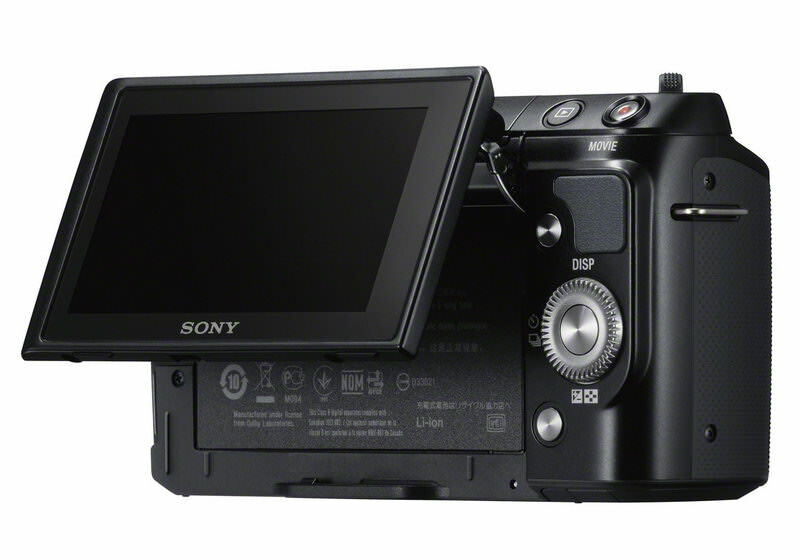 The NEX-F3 will also be capable of 1080(50i/25p) video, max ISO of 16,000 and up to 1/4000 second shutter speeds. As you can see in the pictures the NEX-F3 got a serious redesign, trading some of the curvy looks of the NEX-C3 for a more earnest appearance and a nice big handgrip. 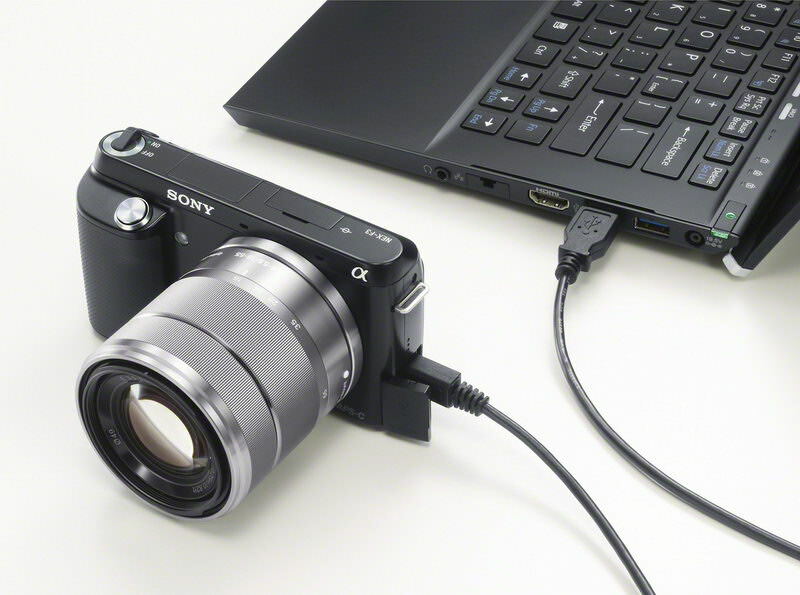 There is no external charger, instead you’ll need to charge the battery through micro-USB for a promised 470 shots per charge. The NEX-F3 will start shipping in June in white, black and silver. 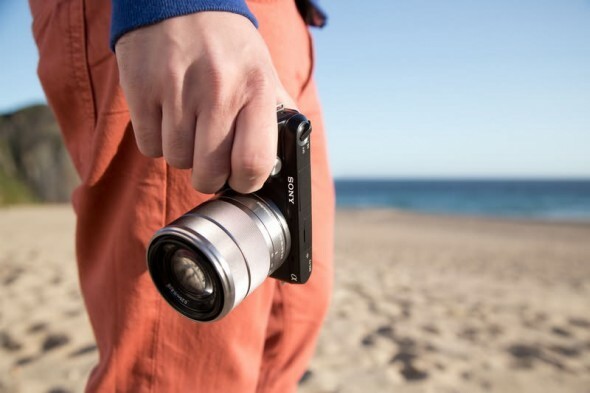 Sony is also releasing a new E-mount zoom lens for its NEX compact mirrorless camera series. The SEL18200LE is an 18-200mm F3.5-6.3 lens that’s 12 percent lighter than the previous SEL18200. The new lens features Optical SteadyShot stabilization and direct manual focus so that you can manually fine-tune it. Now the A37 gets some additional autofocus and burst shooting capabilities thanks its translucent mirror — Sony DSLT cameras trade the standard flipping mirror found in DSLRs with a translucent one that stays put, and allows most light to hit the sensor, yet a proportion is reflected for autofocusing. So the A37 can do up to 7 frames-per-second burst shooting with full continuous autofocus. There’s also 3-cross 15-point phase detection AF and the camera can also shoot 1080(50i/25p) video). Sensitivity is up to ISO 16,000. You’ll be able to frame your shots, either with the rear 2.7-inch titling LCD (though not 180-degree capable like the NEX-F3 above) or a 1,440k dot resolution electronic viewfinder. Still a step below Sony’s own amazing 2,400k dot OLED EVF found in the A65, A77 and NEX-7. The A37 should start shipping by the end of May. Have fun exploring the creative world of high-quality imaging with interchangeable lenses. If you’re looking for DSLR-style results with less to carry, the NEX-F3 compact system camera from Sony makes ‘big-camera’ picture quality refreshingly accessible. 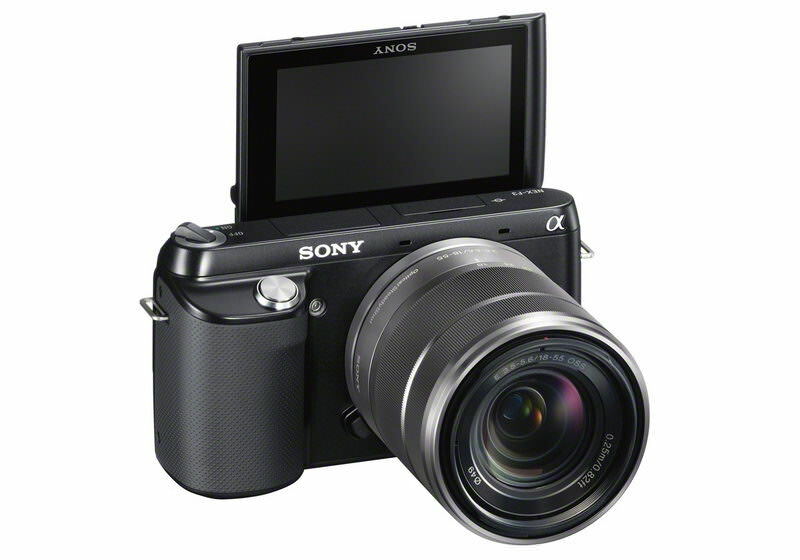 The pocket-sized NEX-F3 features the same space-saving mirrorless design as other cameras in the α E-mount family. Far bigger than sensors found in point-and-shoot compacts, the 16.1 effective megapixel Exmor™ APS HD CMOS sensor captures more light for flawless, low-noise stills and crisply detailed Full HD video (50i/25p). Just like traditional DSLR cameras, it’s easy to create beautiful defocus effects with your subject focused sharply against a smoothly blurred background. Self-portraits are simple, too. Just hold the camera at arm’s length and flip the LCD 180° to see yourself clearly. Then press the shutter button, or let Smile Shutter take the picture for you automatically. Shooting options in dim light or indoors are broadened with the additional of a useful built-in flash. As introduced on the acclaimed NEX-7, this handy pop-up flash lets you brighten up portraits and other shots without the need to carry an additional flash accessory. The NEX-F3 helps inexperienced photographers craft top-quality portraits without effort. Auto Portrait Framing identifies your sitter’s position, trimming the scene to create beautifully composed, high resolution portrait photos. Getting close to your subject used to mean packing a more powerful lens. But now you can enjoy high-quality close-ups with Clear Image Zoom that doubles effective magnification of your lens. Unique to Sony, By Pixel Super Resolution Technology maintains superb image detail, tones and textures. Ideal for travel and everyday shooting, it’s a great way to boost your maximum focal length without carrying extra hardware. New to digital photography? 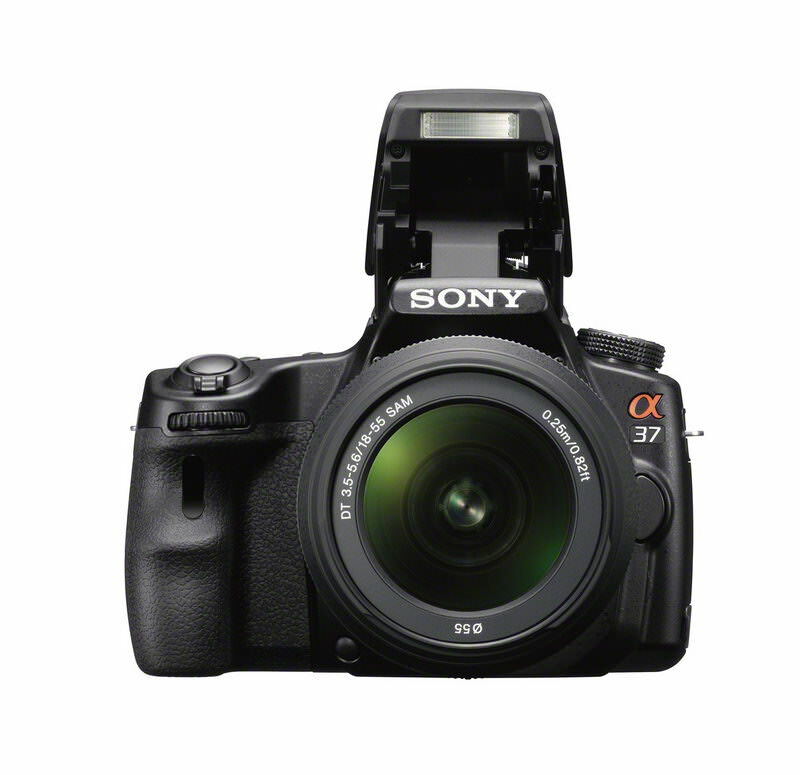 The NEX-F3 takes the guesswork out of choosing from the generous range of functions on offer. Superior Auto mode intelligently recognises a wide range of scenes and subjects, adjusting settings with the skill of a seasoned photographer. 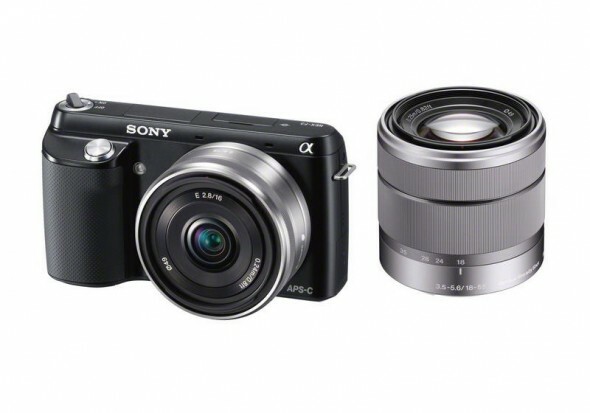 Other refinements make the NEX-F3 a must-have choice for photographers stepping up from their point-and-shoot compact. The camera’s premium feel is enhanced by a high-quality handgrip for positive, comfortable handling. Battery stamina has also been boosted to 470 shots from a single charge – an 18% (approx.) improvement on the NEX-C3. Easy charging via USB simplifies battery top-ups when you’re travelling. An ideal travel partner for the NEX-F3, the new SEL18200LE E18-200mm F3.5-6.3 OSS LE offers a powerful 11x zoom range and superb resolution in an easy-to-carry lens. Smaller and 12% lighter than the SEL18200, the new E-mount lens features Optical SteadyShot to compensate for the effects of hand-shake. Direct Manual Focus gives precise control over touching-up focus for fine creative control over beautiful images. 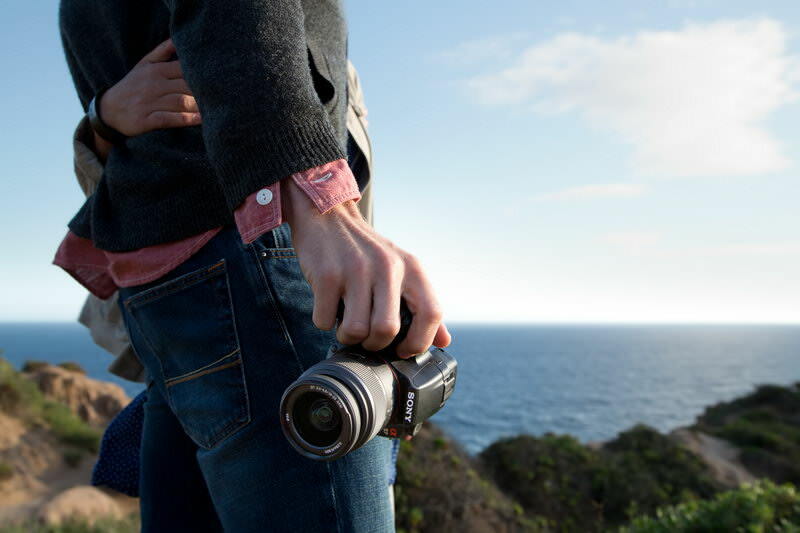 Add that personal touch with the full range of co-ordinating accessories for the NEX-F3. The super-soft LCS-EMH carry case gives quick access to the camera and attached lens; while the LCS-EJC3 carry case fully protects the camera and lens. 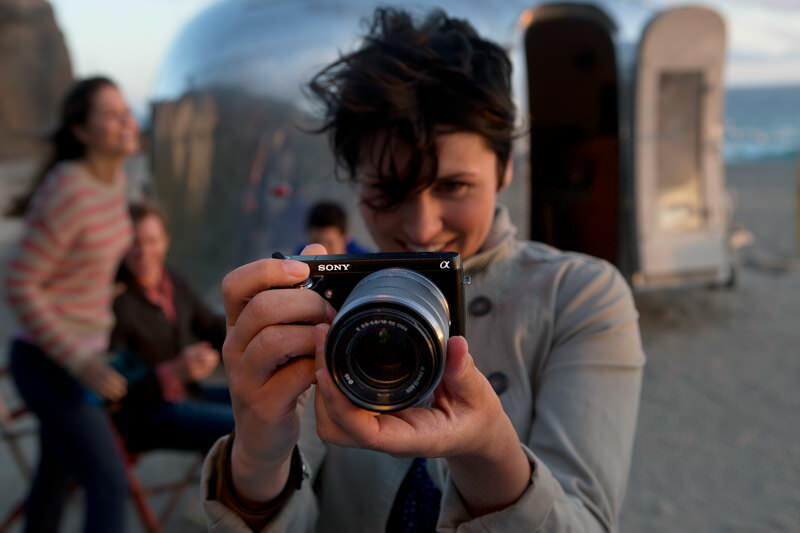 Explore the creative world of high-quality imaging and interchangeable lenses with the new SLT-A37 camera with Translucent Mirror Technology from Sony. Light and easy to use, the temptingly-priced α37 broadens artistic options for anyone who’s stepping up from their point-and-shoot compact camera. Unique to Sony, Translucent Mirror Technology delivers a potent combination of speedy shooting, non-stop phase detection autofocus and continuous live image preview, even when you’re shooting Full HD video (50i/25p). The precision 3-cross 15-point AF system with tracking autofocus keeps faces and fast-moving subjects in sharp focus. From action-packed sports to spontaneous family portraits, you’ll capture all the drama and beauty of that special moment. 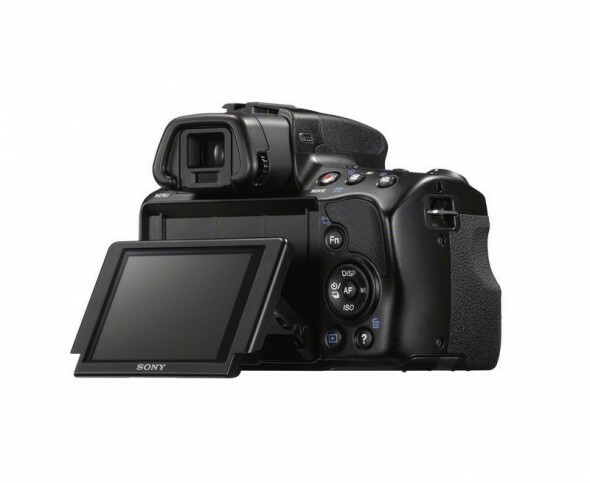 Translucent Mirror Technology also lets the α37 grab split-second action with a burst of sharply-focused images. Tele-zoom Continuous Advance Priority AE mode magnifies the central portion of the sensor’s image, delivering a crisply-detailed burst of still images at up to 7 frames per second – even when your subject’s moving. Framing and focusing is a pleasure through the high-resolution Tru-Finder™ that matches or exceeds the abilities of many optical viewfinders. With a high 1440k dot resolution, excellent contrast and 100% field of view, this high-performance electronic viewfinder offers the same detail and clarity as the recently-launched SLT-A57. There’s also a special mode to assist comfortable Tru-Finder™ operation for spectacle wearers. It’s easy to give your shots that professional polish. Adjustments to exposure and other creative picture settings can be previewed in real time, either via the Tru-Finder™ or the tilt-angle 6.7 cm (2.7″) Clear Photo LCD screen. 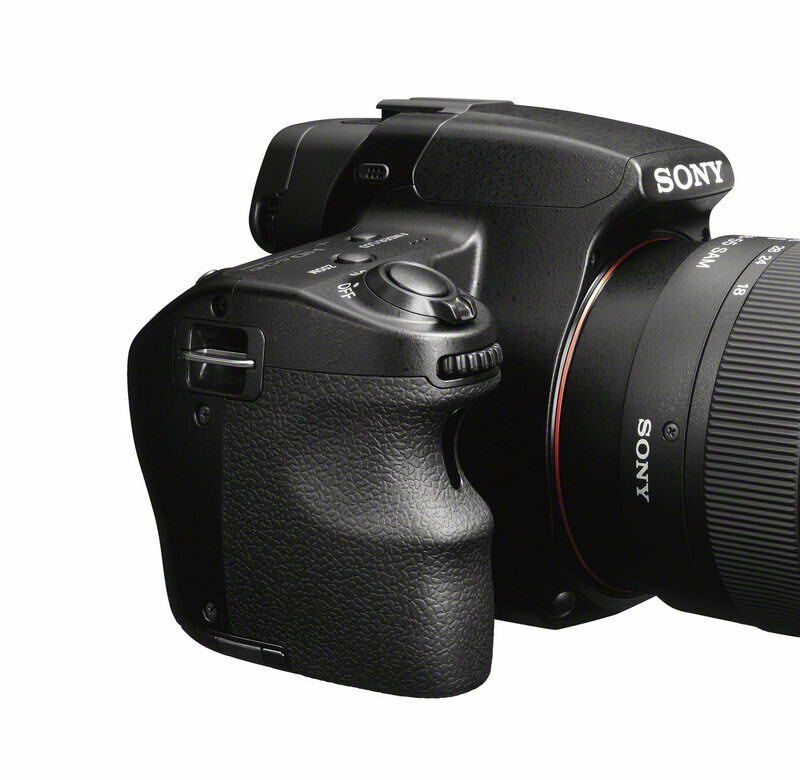 The α37 helps inexperienced photographers craft top-quality portraits without effort. Auto Portrait Framing mode identifies your sitter’s position, trimming the scene to create beautifully composed, high resolution portraits using the compositional ‘rule of thirds’. By Pixel Super Resolution Technology ensures that cropped, zoomed portraits retain a full pixel count to flatter your subject. Getting close to the action used to mean packing a more powerful lens. But now you can enjoy high-quality close-ups with 2x Clear Image Zoom that doubles effective magnification of your lens. Unique to Sony, By Pixel Super Resolution Technology maintains superb image detail, tones and textures. Ideal for travel and everyday shooting, it’s a great way to boost your maximum focal length without carrying extra hardware. The 16.1 effective megapixel Exmor™ APS HD CMOS sensor inside the α37 captures finely-detailed, low noise stills and Full HD video. It’s teamed with the latest BIONZ image processor that extends sensitivity to a generous ISO 100-16000 range, broadening options for atmospheric low-light shooting without flash. Shared with all α SLT cameras, SteadyShot INSIDE cuts the effects of camera shake by up to 4.0 stops for clearer handheld images with any A-mount lens. 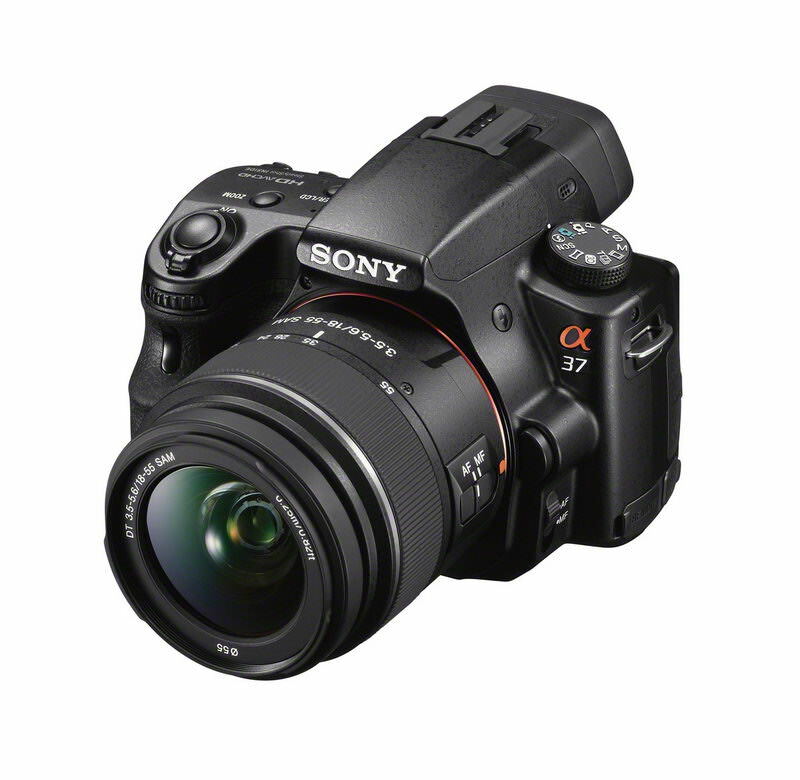 The α37 takes the guesswork out of choosing the right camera settings for virtually any shooting situation. Superior Auto mode intelligently recognises a wide range of scenes and subjects, adjusting exposure and other picture settings for effortlessly accomplished results. A versatile match for the α37, the new SAL18135 telephoto zoom offers a generous 8x (approx.) zoom range in a compact, go-anywhere lens that’s great for travel, street photography and everyday shooting. The SAM design assures smooth, rapid, whisper-quiet autofocus operation, while Direct Manual Focus allows accurate fine-tuning of focus for refined results. Add that finishing touch with the full range of co-ordinating cases and other stylishly practical accessories for the α37. The PCK-LM11 semi-hard screen protector sheet is exclusively designed for a perfect fit with the camera’s LCD screen. Ideal for active shooters, the ACC-FW1A accessory kit bundles a spare NP-FW50 rechargeable battery with the compact, versatile LCS-AMB travel case that protectively cradles the α37 while offering quick access.